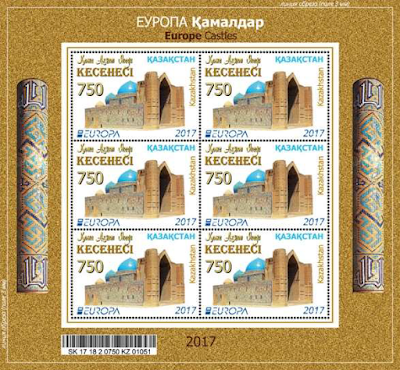 Turkey is the winner of the 2017 Best Europa stamp contest organised by PostEurop. Poland finished second and Moldova is third. this 3.70 TRY stamp is part of a two stamp set. It's the fourth time Turkey wins the on line voting and since 2011 they always finished in the top 2 ! They won in 2011, 2013 and 2015 and finished 2nd in 2012 and 2014 ! The Best Europa stamp design competition is a yearly event. The first competition took place in 2002. All official Europa stamp issues can enter the competition. 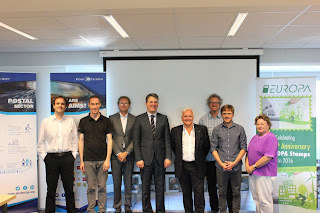 The result of this competition was announced during this PostEurop's Plenary Assembly held this month in Bucharest, Romania. The stamp has been selected via the internet ! All people could vote through PostEurop's website ! A jury of 7 members (stamp designers, philatelic design directors, stamp collectors) awarded earlier this year, the Best Europa stamp - Jury prize to Finland ! Here you can find the full list of winning stamps since the first contest in 2002 when Malta won. The 2017 Best Europa stamp - Jury prize was awarded this week-end in Brussels’ town hall. This was the sixth edition of this neutral and artistic prize. Eight experts of the philatelic world were invited to join the jury and judge the Europa stamps based on their expert opinion. 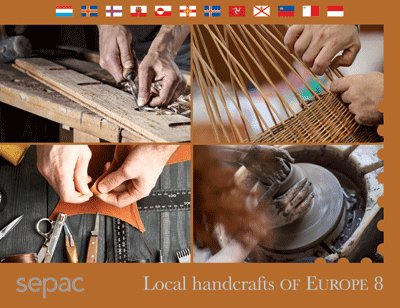 "Local handcrafts of Europe 8", this special folder contains the 12 Sepac stamps issued in 2017. This folder will be on sale by any of the Sepac countries philatelic offices !